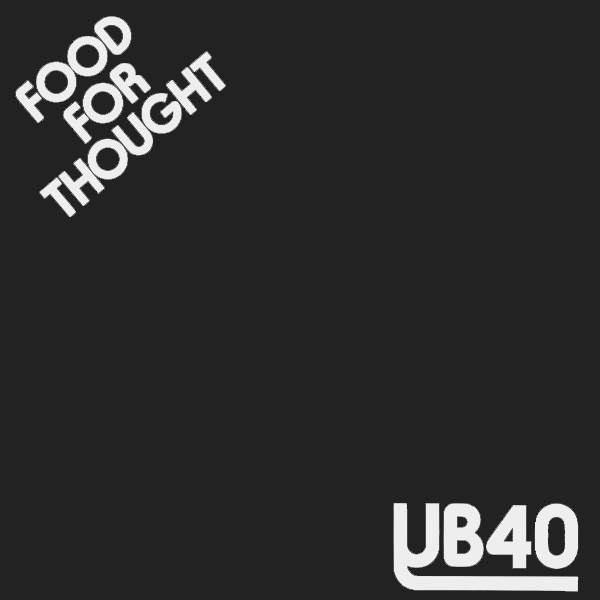 The original cover of Food For Thought by British reggae band UB40 is extremely poor indeed (as those British say). But this was the band's first single so perhaps they were poor at the time and therefore unable to afford a proper cover. We, at AllBum.Art have therefore done them the honor of providing them with a cover that really does provide food for thought, well at least it provides food, and something worth some thought. Yummy!